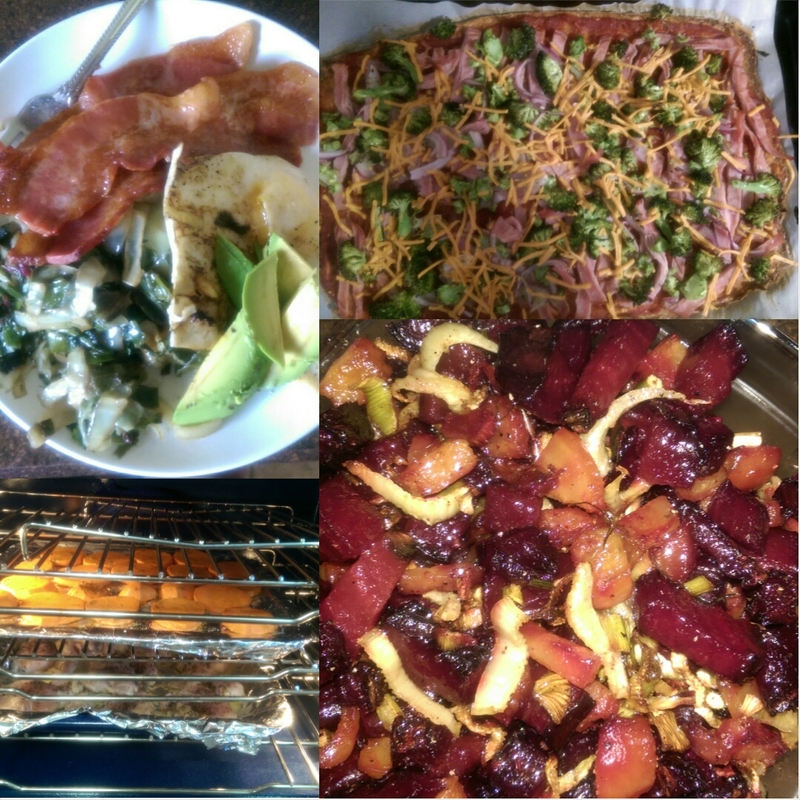 Top Left: Vegetable stir fry (cabbage, kale, onions, mushrooms), bacon, duck egg, avocado. Top Right: Pizza w/ ham, onion & broccoli on a cauliflower & tapioca crust. I did use Daiya ‘cheese’ as I’m dairy intolerant. I consider it a processed food so it is a once or twice a month choice. Bottom Right: Roasted beets with fennel, tossed with olive oil, salt & pepper. How do your food choices make you feel?